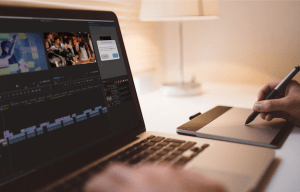 San Ramon, California – Evolphin Software, a leader in media production and collaboration, today announced the acquisition of WavePost and the expansion of its platform to include a fully cloud-based SaaS collaboration service for video producers and their clients to share and review media. Evolphin’s core product Zoom is being used in media production workflows at large companies around the globe. With patented technologies such as storage-saving front-end deduplication and real-time collaboration across local and wide area networks, Evolphin has established itself as a market leader for on-premises media production workflows. Zoom plugs into the entire Adobe suite and sits atop all common storage, transcoders, and archival systems, allowing customers to use their own hardware and not worry about compatibility. Evolphin was one of the first companies to offer cloud-based media review tools for its clients, and with the acquisition of WavePost, it is now a standalone offering. Over the past few years, WavePost has carved out a strong niche in the cloud-based media collaboration space, with its efficient combination of video hosting, branded presentations, file transfer, time-coded commenting, user rights management, and more. WavePost clients include Hearst Magazines Digital Media and other major media companies, independent filmmakers, studios, and production companies including Wanderlust, Lantern Eye Productions, Rebel Road Studios, and Vacationland Studios. Evolphin is a privately held company, with main offices in San Ramon, California. They work with a global team of developers and creatives, and offer a fully cloud-based workflow in addition to their battle-tested on-premises solution. For more information and to be notified of future releases, visit www.evolphin.com.